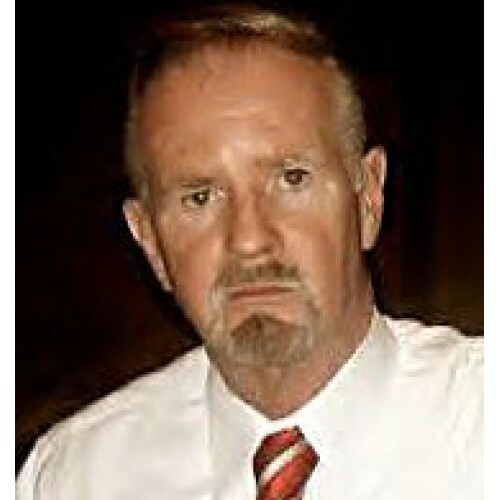 Paul L. Williams is the author of such critically acclaimed books as Crescent Moon Rising: The Islamic Transformation of America (Prometheus, 2013), The Day of Islam: The Annihilation of America and the Western World (Prometheus, 2007), The Dunces of Doomsday(Cumberland/WND Books, 2006), The Al Qaeda Connection (Prometheus, 2005), Osama's Revenge: The Next 9/11 (Prometheus, 2004), The Vatican Exposed (Prometheus, 2003), Al Qaeda: Brotherhood of Terror (Penguin Books, 2002), Mother Teresa: A Biography (Alpha Books/Penguin, 2001), Everything You Always Wanted to Know about the Catholic Church But Were Afraid to Ask for Fear of Excommunication (Doubleday, 1990). In addition, he wrote a scholarly text The Moral Philosophy of Peter Abelard, which garnered a National Book Award. He has been the subject of programs on PBS, A & E, the Discovery and History channels and has appeared on such national news networks as ABC News, CBS News, NBC News, Fox News, MSNBC, and NPR. Williams holds a Ph.D. in philosophical theology from Drew University (1976) an M. Div. from Drew (1973), and a B.A. from Wilkes University (1968). He has been the recipient of six major academic scholarships and a teaching fellowship from Lehigh University, and has taught philosophy, religion, and the humanities at The University of Scranton and Wilkes University. In addition, Williams served for many years as the senior editor for The Fellowship of Catholic Scholars - - a position which granted him Vatican press credentials. As a journalist, Williams served as the editor/publisher of The Metro, the largest weekly newspaper in Northeastern Pennsylvania. The Metro, under his leadership/ownership, was named one of the best newspapers in the state for editorial content by the Pennsylvania Newspaper Publishers' Association, and, in 1993, he became the only journalist to capture three first-place Keystone Press Awards in three distinct categories in the same year. In addition, he has served as a correspondent on terrorism and world affairs for World Net Daily and NewsMax, and has penned feature articles for National Review (one of which sparked the longest running print debate in the history of a major periodical). For five years, Williams has served as a consultant on organized crime and international terrorism for the Federal Bureau of Investigation. His field work resulted in the arrests and convictions of leading crime figures and served to unravel the plot of the Toronto 18 to blow up Parliament and behead the prime minister. Williams serves on the advisory board of the Lifeboat Foundation, a national think tank, and as Director of Christian Relations for B'nai Elim, an international Israeli advocacy group. Previously, he served as Director of Counter-Terrorism for the Christian Action Network and as Mayor of the borough of Clarks Green. During the past decade, Williams has served as a speaker for the Intelligence Summit, America's Truth Forum, Southwest Radio Ministries, Radio Liberty, Teen Challenge, the David Horowitz Freedom Center, the International Legal Conference on Freedom of Speech & Religion, the International Free Press Society, the Center for Security Policy, and other major gatherings throughout the country. 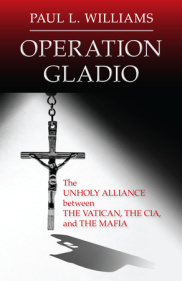 His latest book Operation Gladio: The Unholy Alliance between the CIA, the Mafia, and theVatican will be published by Prometheus in January, 2015. "Dr. Williams presentation was riveting and well delivered. He captivated the audience and empowered them to think critically." This disturbing exposé describes a secret alliance forged at the close of World War II by the CIA, the Sicilian and US mafias, and the Vatican to thwart the possibility of a Communist invasion of Europe. Journalist Paul L. Williams presents evidence suggesting the existence of “stay-behind” units in many European countries consisting of five thousand to fifteen thousand military operatives. According to the author’s research, the initial funding for these guerilla armies came from the sale of large stocks of SS morphine that had been smuggled out of Germany and Italy and of bogus British bank notes that had been produced in concentration camps by skilled counterfeiters. As the Cold War intensified, the units were used not only to ward off possible invaders, but also to thwart the rise of left-wing movements in South America and NATO-based countries by terror attacks.